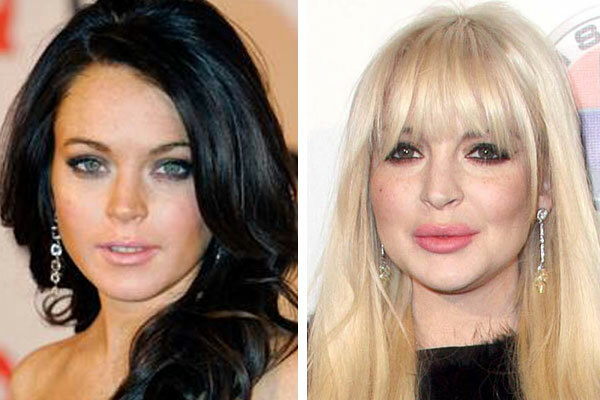 Throughout the years we've showcased numerous before and after photo comparisons of Lindsay Lohan, highlighting the drastic change in her appearance via plastic surgery, and a reckless care-free, booze and alcohol infused lifestyle. Now, the ultimate video has surfaced, created by a savvy youtube video junkie known as VJ4rawr. The shocking video features a collection of photographs taken during the course of Lindsay Lohan's life, from the cradle to the current day, seamlessly transitioned together to create a unique perspective that no ordinary 'before and after' snapshot could ever achieve. Watch in amazement as you see Lindsay Lohan morph into her current form. From a cute kid, to a beautiful young adult, and ultimately into where she stands today. Caution, the video may seem a little creepy to modest of souls. Plus, the orchestral soundtrack really amplifies the eerie experience.